Do you want to sing your version of Edelweiss? Salzburg has inspired many things, but, “Sound of Music” has to be one of its crowning jewels. Coincidentally it’s also the city that Mozart came from which has featured itself in countless travelers’ bucket lists. 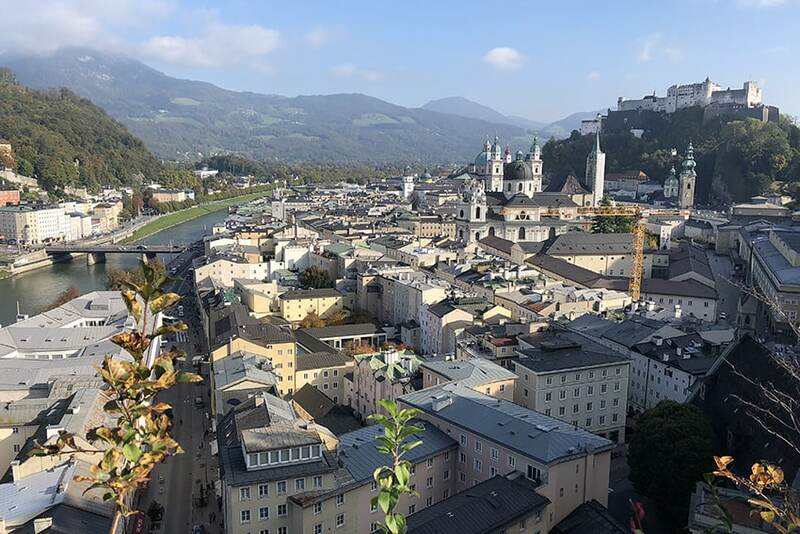 Visiting Salzburg, in Austria, can truly be a dream come true. And if you too are planning a getaway there, you might just find yourself with a few extra days to spare till your vacation ends. So today we would like to list 12 one day tours from Salzburg that we believe are a must visit for every tourist. Each spot we list indeed is one of a kind in beauty with breathtaking sights and experiences. Find below the best Salzburg day trip ideas. There is something for everyone, from towns, to lakes, to mountains. A bit of history or something more fun. We explored the region around Salzburg via a rental car. Whilst there is public transport available to some of these destinations, you will find that a rental car will most life a lot easier and typically cut out a lot of transit time. The best car rental company in Europe is Auto Europe. Auto Europe is a car rental booking service that quickly compares car rental prices across all the major brands like Hertz, Avis, and Europcar. Click to see prices for car rentals. Please have a browse through the day trip options below and let us know which one interested you the most. 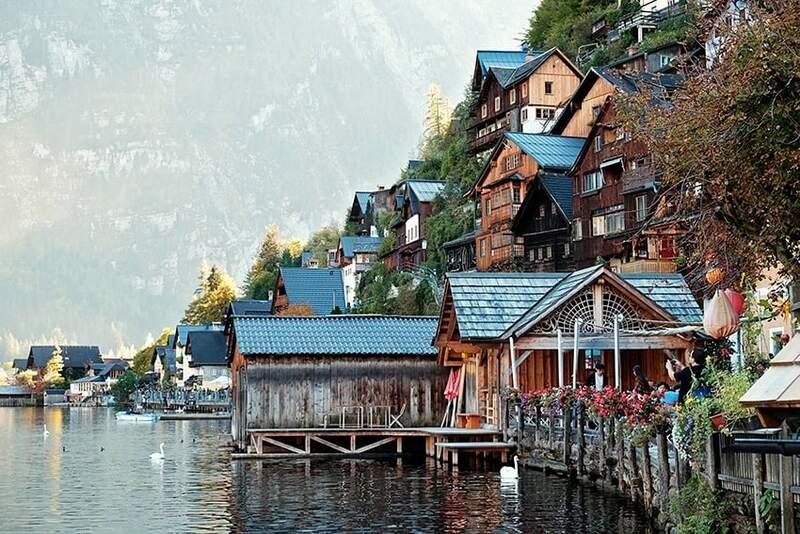 As one of the most picturesque villages in Austria, a Hallstatt day trip from Salzburg is indeed a journey to remember. From the colorful Market Square to the eerie Bone Chapel of skull paintings, the wonders that Hallstatt provide are endless. And they have the World’s oldest Salt Mine as well, which lies just above the city and is at least over 7.000 years old. These are the mines that first put Salzburg in the world’s map. For decades, these mines provided most of the revenue that Salzburg earned. You can read more about how to plan your visit to the salt mines here. And then you have the picturesque skywalk and viewing platform over the area as well! 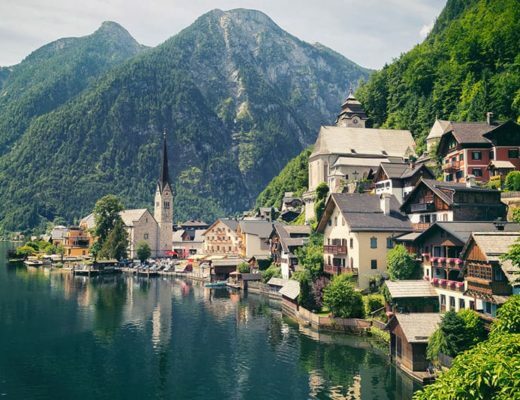 We highly recommend that you set aside a full day for your day trip from Salzburg to Hallstatt. 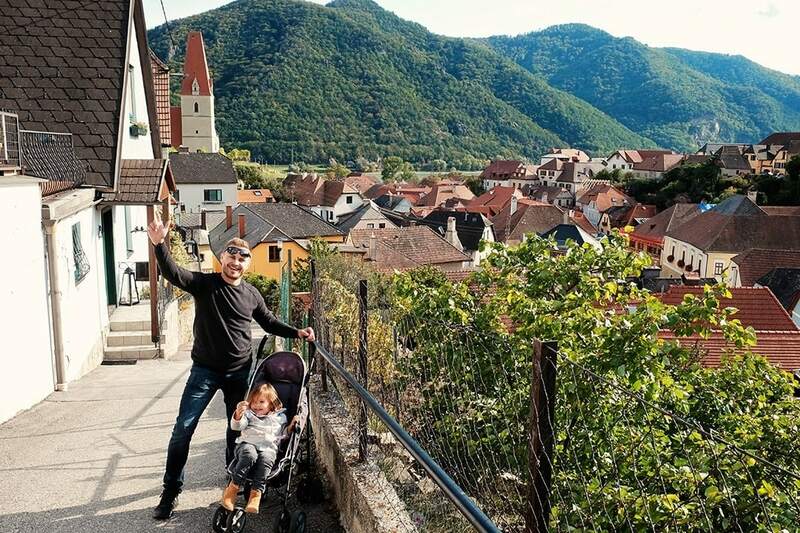 If you manage to get to Hallstatt by 9 am, you should be able to enjoy a Salt mine tour, see the skywalk and the viewing platform, stroll around the town as well as head out on a 50 min cruise around the lake. Day trips from Salzburg by train will take you about 2 hours and 15 minutes and then a short 15-minute ferry ride. By Bus and train: Take bus 150 from Salzburg to Bad Ischl and from there take the train to Hallstatt. This trip takes from 2 hours to 2 hours 40 minutes. Traveling by car: The journey from Hallstatt to Salzburg (and vice versa) will only take you 1 hour and 15 minutes by car. Driving to Hallstatt is the easiest way to reach this small town. It is a beautiful drive and with less transit time, you will get to spend more time in the town itself. 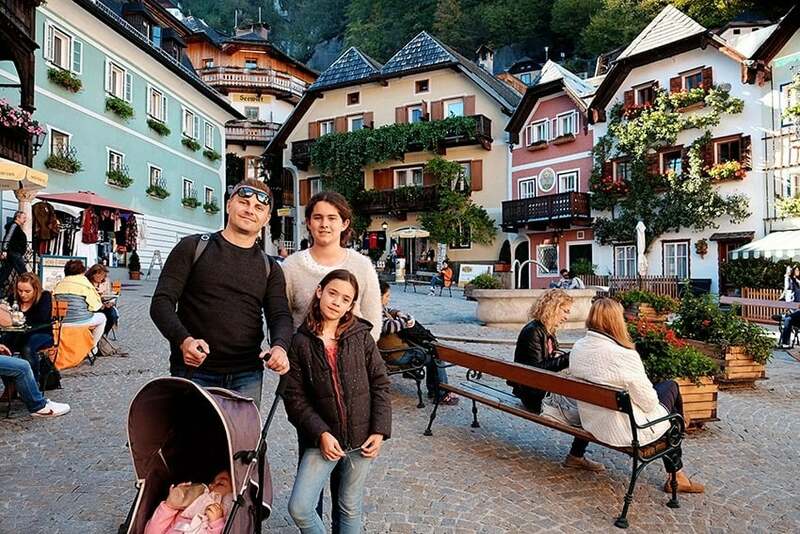 Hallstatt tour from Salzburg: Another great option is to simply book a spot on a tour to Hallstatt. 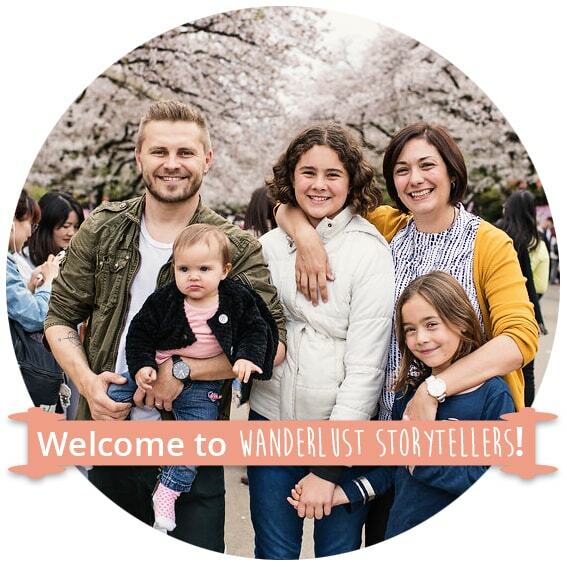 Group tours are really affordable (click to check price here), and there are even private tour options if you have a bit more money to splurge (click to check price here). 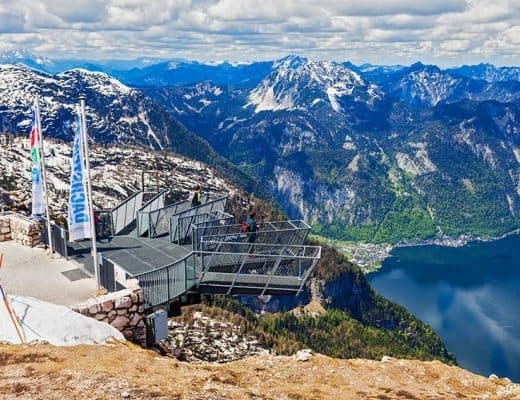 A short adventure to the Dachstein Ice Caves & the 5 Fingers Lookout is nothing short of amazing. Situated high above Hallstatt, the Dachstein Ice Caves wow's visitors with its spectacular ice sculptures and frozen waterfalls. To get to the Ice Caves, you will need to take a cable car and tackle a short uphill walk of 20 minutes. 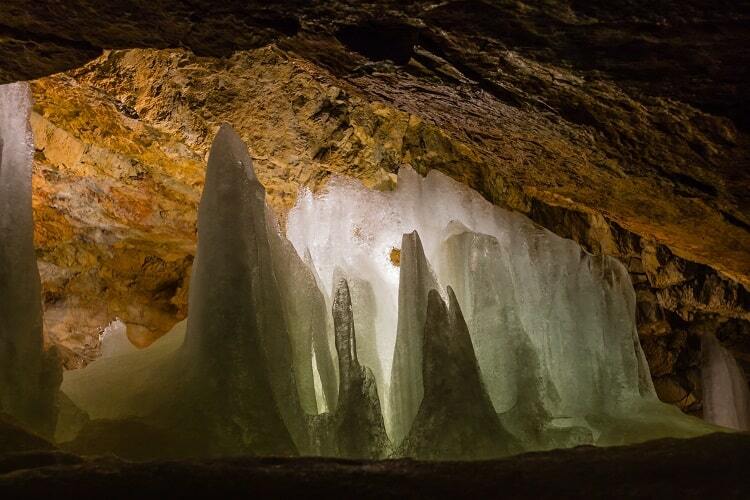 The tour of the Ice Caves lasts for about 50 minutes. After the Ice Cave tour, head back to the cable car station. Head up further to stop 2 on the Cable Car journey. From there enjoy a beautiful 30-minute hike to The 5 Fingers Lookout where you will be rewarded with a breathtaking view of the valley and mountains below. By Car: The easiest way to reach the cable car station is by car. The journey will only take you 1 hour and 15 minutes by car. It is a beautiful drive and with less transit time, you will get to spend more time enjoying the cave and mountains. By Train and Bus: From Salzburg catch the train ‘Obertraun Dachsteinhöhlen Bahnhof'. From there you will need to catch Bus 543 to the valley cableway station. This journey will take you around 2 hours and 50 minutes. 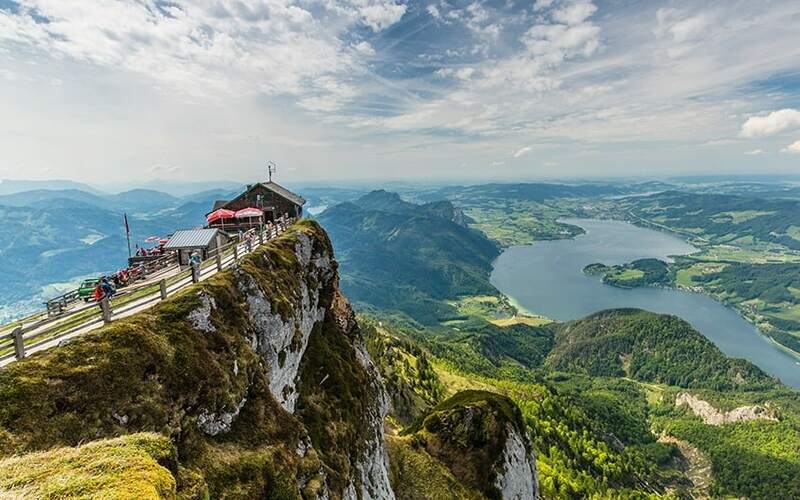 A day trip to Eagle’s Nest from Salzburg is a must. It is a rather educational experience that will take you back to Germany's dark past. This space was built in celebration of Hitler’s 50th birthday and acted as his second seat of power. By Car: From Salzburg drive to Obersalzberg road and leave your car in the Hintereck parking area. The drive is quick and will only take around 30 minutes. From the parking area catch the “Kehlsteinlinie” (line 849) from Berchtesgaden, which should take around 20 min. By Bus: Take the Salzburg Hauptbahnhof bus to Berchtesgaden, which will take around 42 minutes. Then catch the RVO-Bus to the Eagle’s Nest parking area (cars aren't allowed to drive all the way to the Eagle's Next parking area). 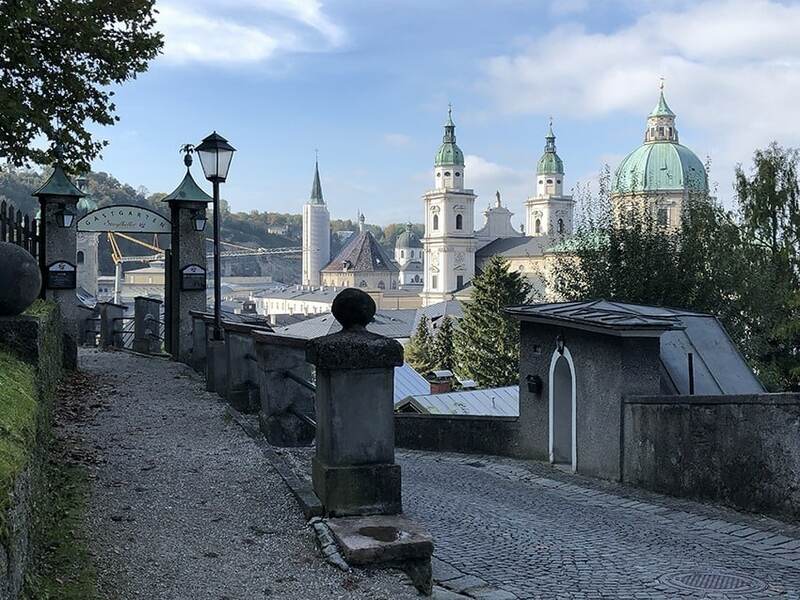 Eagle's Nest tours from Salzburg: Want to keep things easy? Why not grab a seat on a group tour to Eagle's Nest, that way you have no-stress and you can simply sit back and enjoy the views. Click here to see prices for the most popular tour. 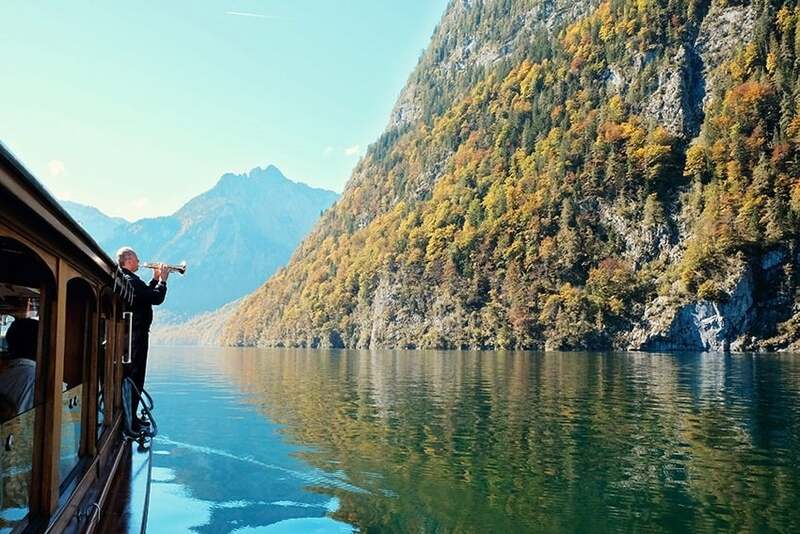 Bavaria’s deepest lake at 630 feet deep, the emerald fjord of Königssee is lined with a hilly landscape that is sure to take your breath away. This lake is actually the cleanest lake in all of Germany, pretty impressive huh! 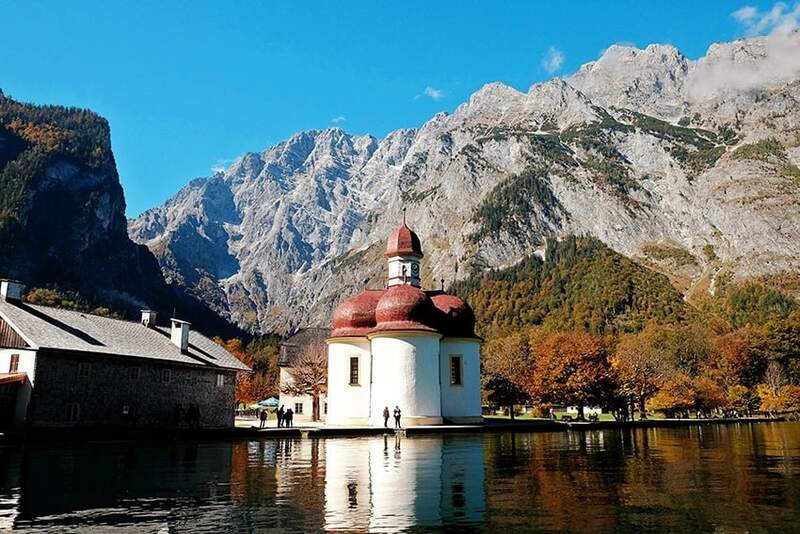 But what truly makes this trip so exciting is the ferry ride to St. Bartholomä Chapel, which is a the triple-domed structure and was once used by the Bavarian Kings as a hunting lodge. You will need a full day for this day trip. We combined our boat tour with the Jennerbahn cable cars. 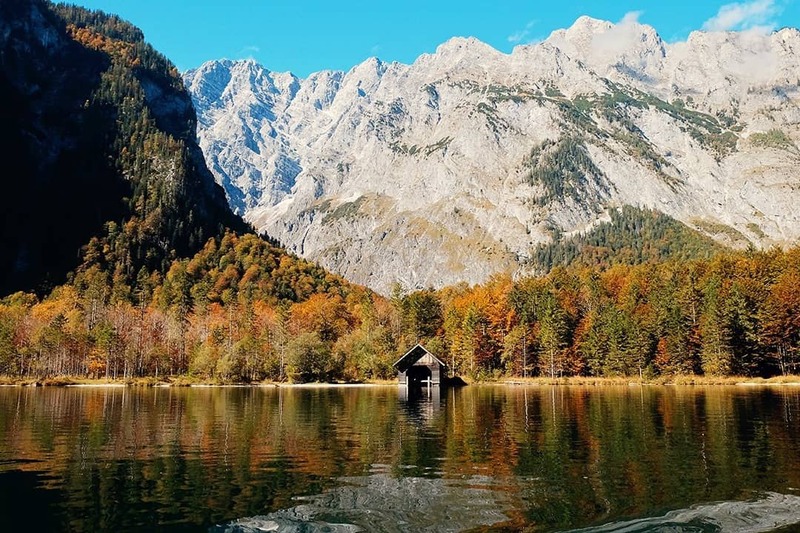 Read about our lovely day out at Lake Königssee here. By Bus: Taking the #840 bus to Berchtesgaden Station will take around 45 minutes. Then transfer to Bus #841 which will take you directly to Königssee in 20 minutes. By Car: From Salzburg drive to the Königssee parking lot. The drive will take you around 35 min. By Tour: You can also book a seat on this oganized tour to the lake. 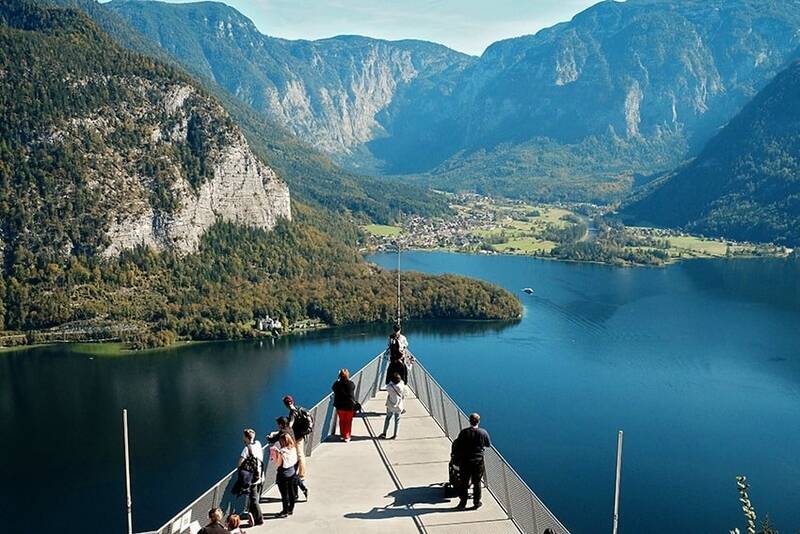 The tour lasts 4 hours and includes both the lake as well as the beautiful town of Berchtesgaden. Click here to read more about this popular tour. Driving along the sides of the Danube is an experience that not many words can accurately describe. 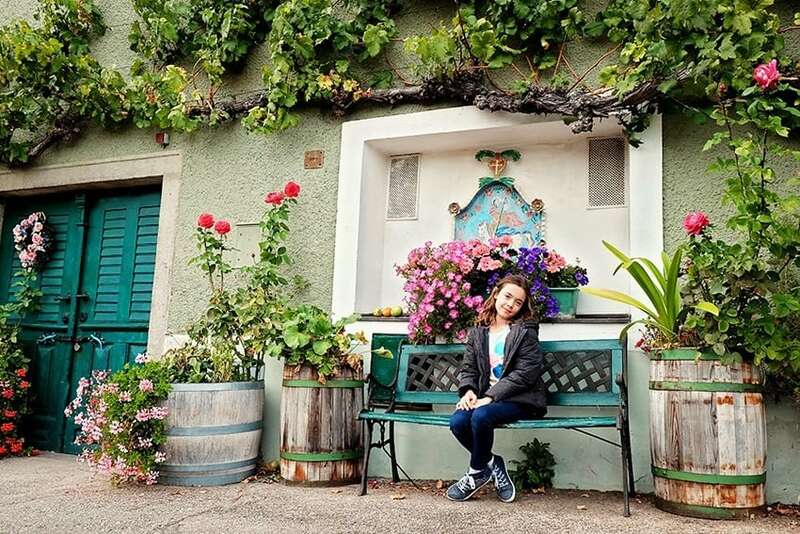 And on the drive to Melk and Krems, you will find a lot of sweet little villages that are well-renowned for their host wineries that harvest some of the best Austrian wine. Weißenkirchen und Dürnstein being the most prominent. The Dürnstein village was the place where Richard Lionheart, the English king, was imprisoned almost 800 years ago. And the castle that held him, though now in ruins, is open to public viewing. Named after the large beautiful fortified church which dominates the town (Weißenkirchen = ‘white church'), the town began in the 9th century as a monastic vineyard. We loved strolling the streets of Weißenkirchen Austria and the views from the top of the town is really worth the uphill stroll as well. 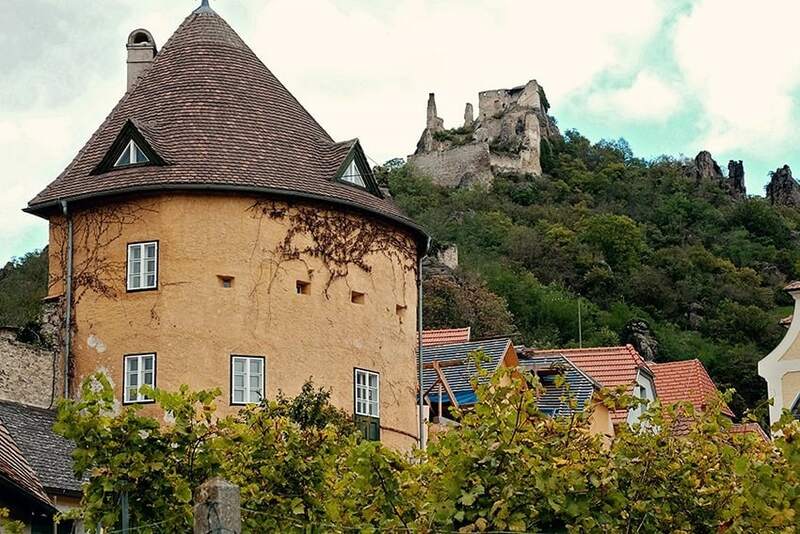 A Day Trip from Vienna to Wachau, Dürnstein in Austria! By Car: From Salzburg, Dürnstein and Weissenkirchen are about 2.5 hours away by car. Whilst you can catch a series of trains to reach these two towns, the journey will take you over 3 hours, which in my opinion, together with the waiting times for the trains, simply makes this day trip too long via public transport. So think about hiring a car for the day instead. 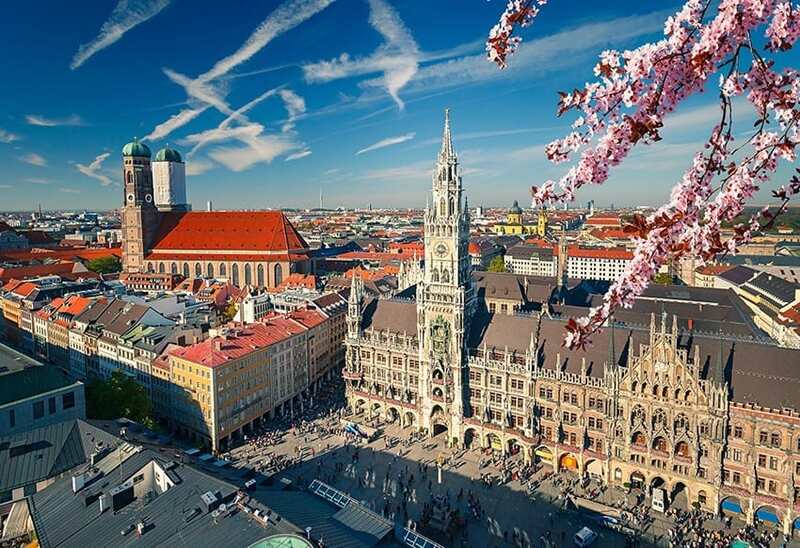 If you’re willing to go on a cultural trip through one of the most hospitable cities, then Munich can be your best bet. Known for its giant beer halls and friendly residents, Munich is home to a lot of amazing sights as well. 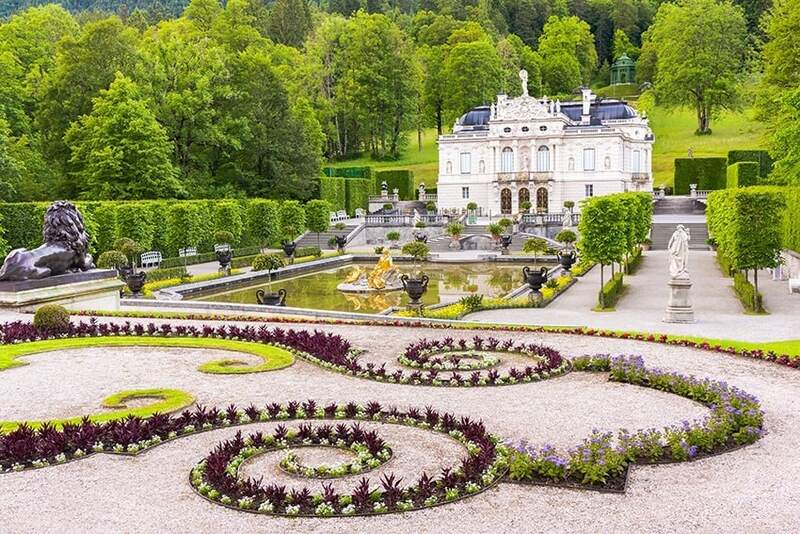 Some of them include the Mad King Ludwig’s Castles and the brilliantly designed Englischer Gardens. 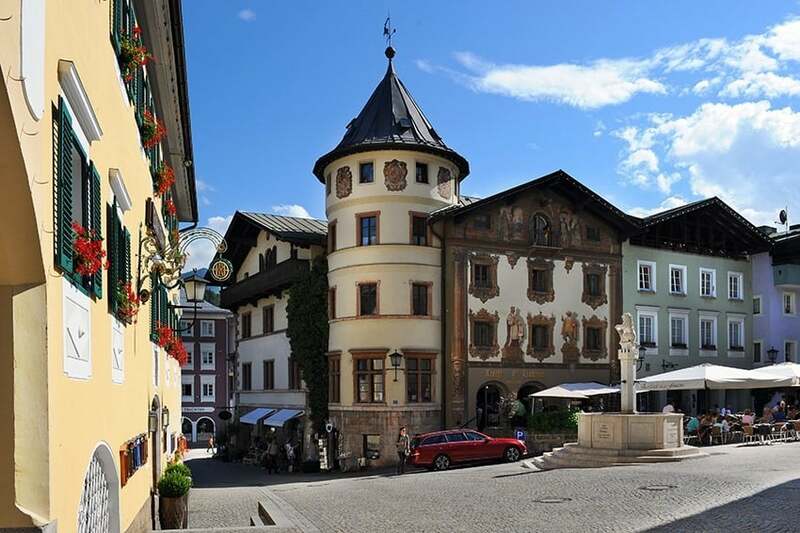 The Altstadt is filled with beautiful monuments which document the history of Bavaria. And the Englischer Gardens houses one of the most amazing indoor lakes where you can surf. By Car: A journey to Munich will take you anywhere from 96 minutes by car. However, the traffic around this large city can be incredibly hectic and often you will find yourself stuck in the slow-moving traffic for a lengthy period of time. So I highly recommend you forego the car and make use of public transport for this day trip instead. By Train: A day trip to Munich from Salzburg takes only about 90 minutes via train, and it is also covered under the special Bayern Pass. There are on average 23 trains traveling between Salzburg and Munich in a day, so the daytrip via train is super convenient. Bus from Salzburg to Munich: You can also choose to travel to Munich by bus. Simply catch the FlixBus towards Munich central bus station. Travel time is anywhere from 2 hours 10 minutes +, depending on the traffic. 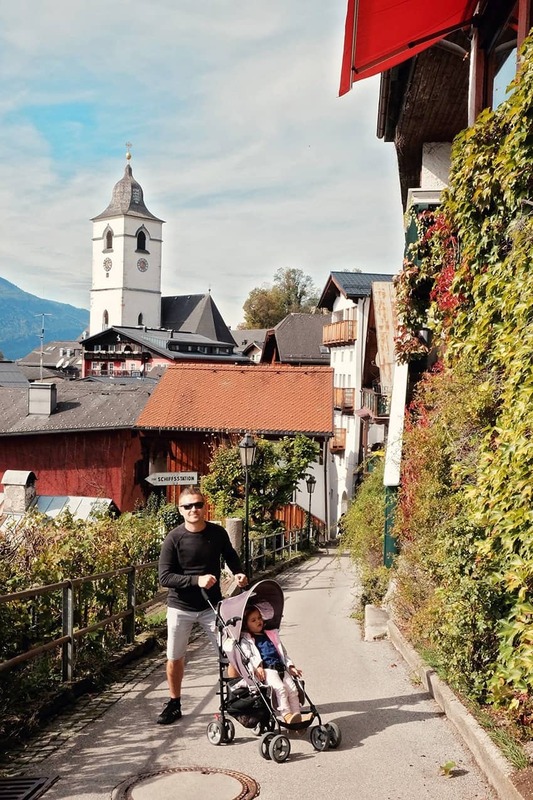 If you’re planning to bring your children along during your Salzburg getaway, then visiting Gosau and the Gosausee Lake should really be at the top of your priority list. Gosau is well known to be a site of countless fossils, and your children can explore the Primeval Forest adventure pack, that documents the development of the first life on earth. Your kids can even visit Bruno’s Mountain World and have a very playful time there with the chubby bear. A hike around the Gosausee Lake will take you around 1.5 hours and is very stroller-friendly for those with young children. If you wish to visit the Gosau region, we highly recommend you rent a car for the day. The drive from Salzburg is only a short 1 hour and 15 minutes via the A-10, whilst both the bus and train will take you a whopping 3 hours (with many changeover stops). 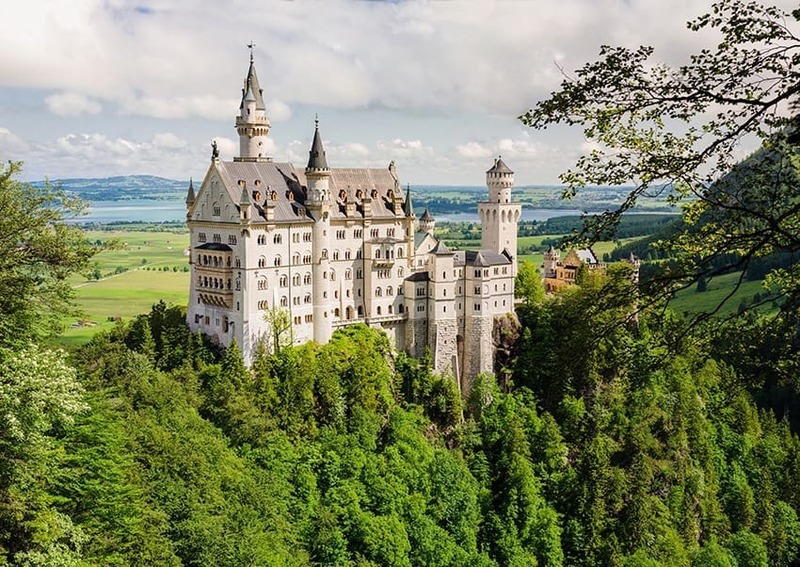 These 19th-century castles are located near Hohenschwangau and Füssen in southwest Bavaria, and stepping into them is like exploring a Bavarian fantasy. Here you can experience the unique art of Bavarian architecture as realized by King Ludwig II himself, which later on became the inspiration for Disneyland's Sleeping Beauty Castle. Inspired by Versailles itself, the Linderhof Palace has a spectacular Rococo estate with its very own Hall of Mirrors. And a mesmerizing manicured garden that surrounds it has an awe-inspiring brilliance to it. Reaching the castles by car from Salzburg can take up to 2 hours and 40 minutes. It will be a LONG day, but definitely, one that is worth the early wake-up. The river Danube while making its way to Vienna passes through the Wachau Valley which is ornamented exclusively with vineyards and small villages, Melk being one. Melk is home to the immensely famous, restored Melk Abbey (Benediktinerstift), which is one of Europe's most magnificent sights. Initially established as a means of fortification in the 11th century, the Benedictine abbey, though once destroyed by fire, was later restored and opened to tourists. 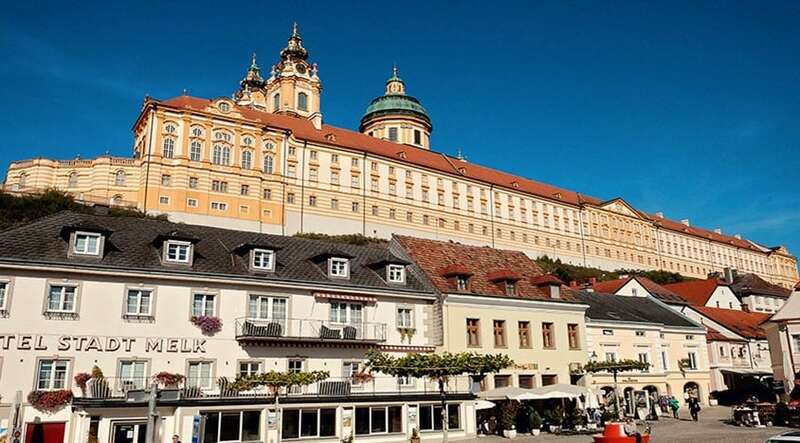 The Melk Abbey is truly STUNNING and worth a visit. Whilst we weren’t allowed to visit the beautiful church, library, and hall on the inside of the abbey, you might still enjoy watching our video of our visit here. We enjoyed a few hours at the Abbey and then went for a stroll through Melk Town as well. 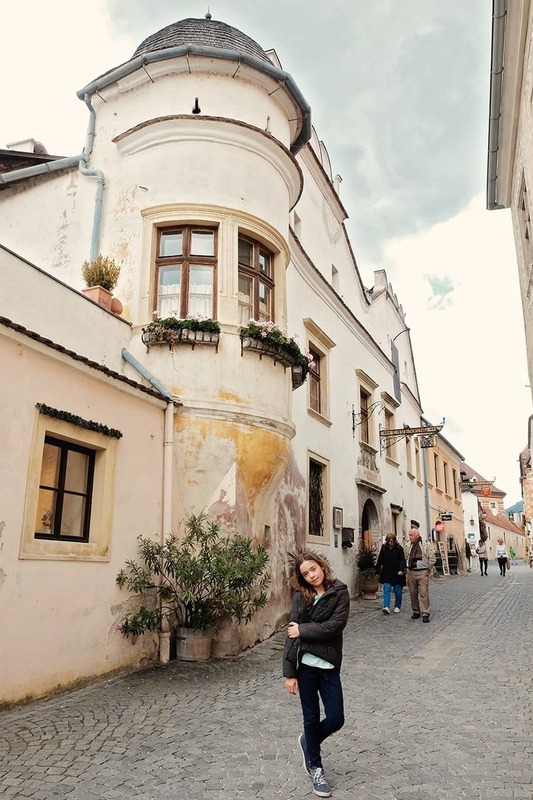 Here is our video of our day at Melk. 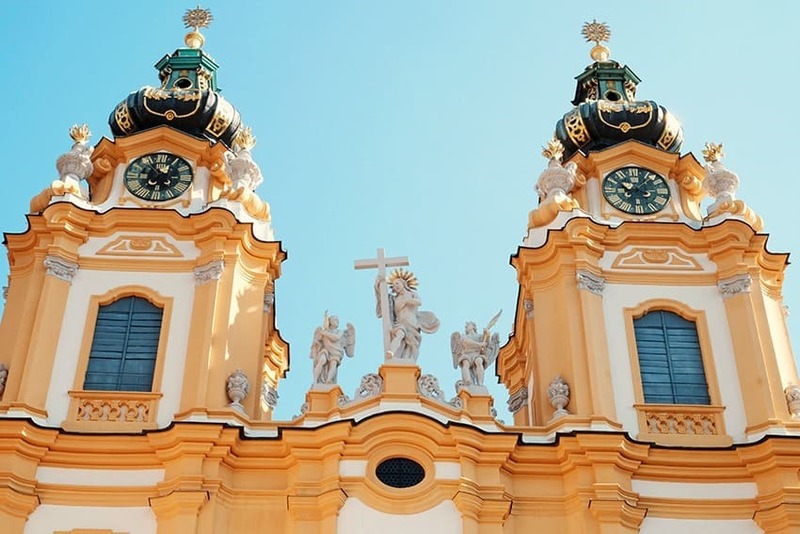 By Car: Take the A1 towards Melk, the drive will take you around 2 hours. You can head right up to the Melk Abbey Parking Lot. By Train: Journey time of 2 hours and 23 minutes. From Salzburg grab the RJ 949 towards Flughafen Wien Bahnhof. Change trains at and take the REX 1906 towards Amstetten NÖ Bahnhof. Hop off at Melk Bahnhof and from there you can enjoy an 11 min stroll up to the Melk Abbey. Often missed out by tourists, the spectacular Wolfgangsee Lake is one of the most fun attractions near Salzburg. The famous village Saint Wolfgang is a really picturesque town to visit. With small meandering lanes with interesting souvenir shops and romantic lakeside dining. Make sure to visit the beautiful church and enjoy a horse and carriage ride around town. 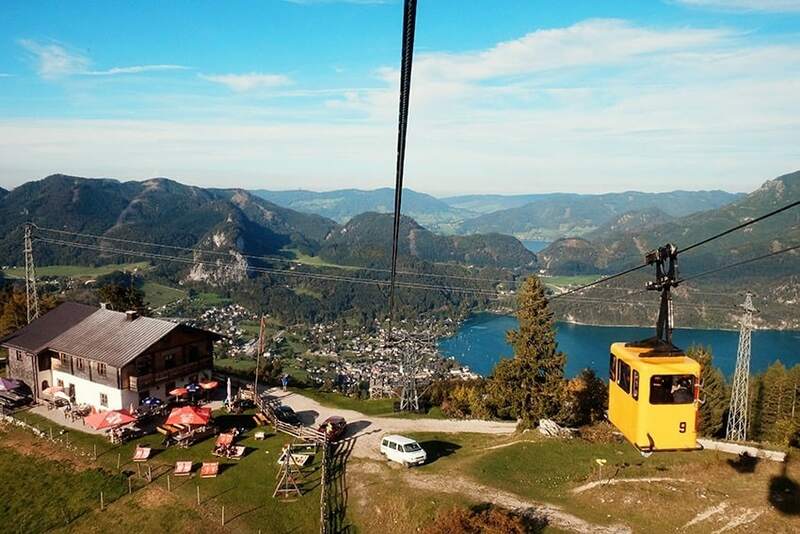 The lake cruise from the village is quite relaxing, but for a more thrilling experience, you can take the cog railway up the Schafberg Mountain. There is an Alpine hut restaurant situated at the top which has an exquisite cuisine that is sure to warm you right up. 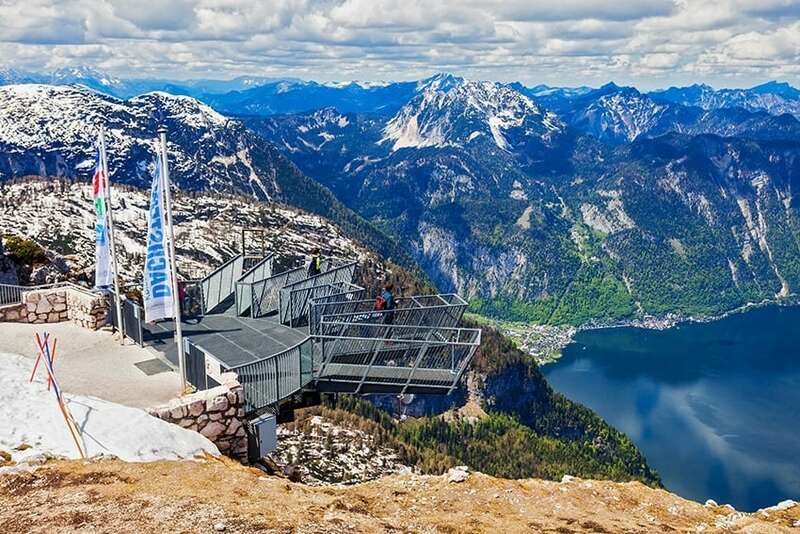 The cog railway doesn’t operate all year long, so when the cog railway is shut, we highly recommend a WolfgangseeSchifffahrt ferry ride on the lake from Hallstatt to St.Gilgen where you can hop on an old-school cable car to head up Zwölferhorn Mountain. 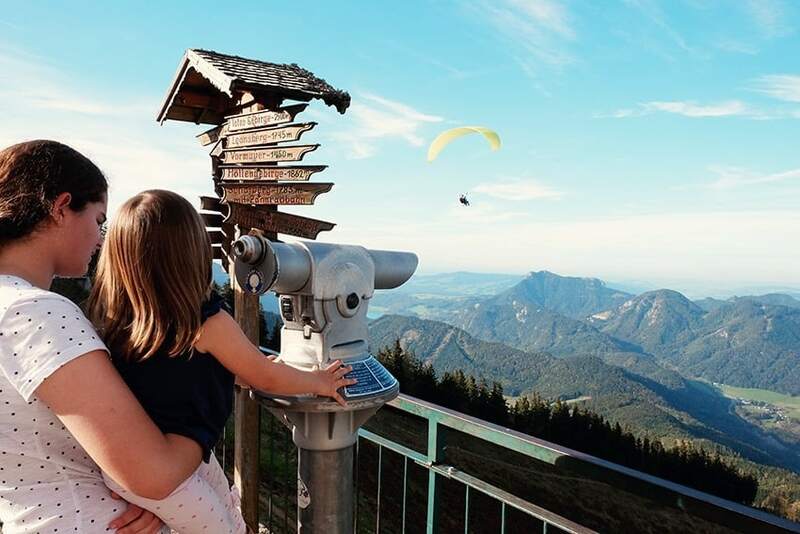 From the top, you will find the most beautiful vantage point in the Salzkammergut with views into the distance over the lake as well as the mountains. There is also a little small restaurant at the top where you can enjoy some lunch or light refreshments. 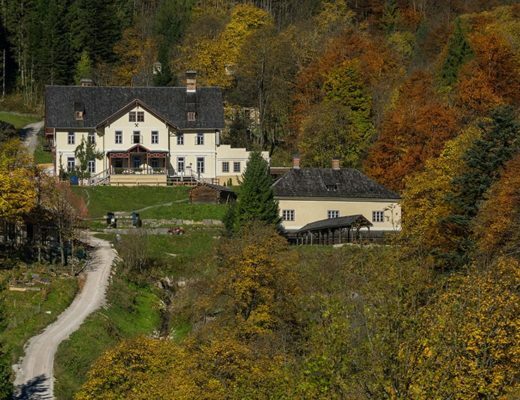 By Car: St. Wolfgang is a short 48-minute drive away from Salzburg. Simply follow the signs from B158. By Bus: If you take bus #150, you can get off at St. Gilgen where you can head up the cable car before hopping on the ferry to St. Wolfgang. The ferry ride will take about 50 minutes and the bus journey around 1 hour. 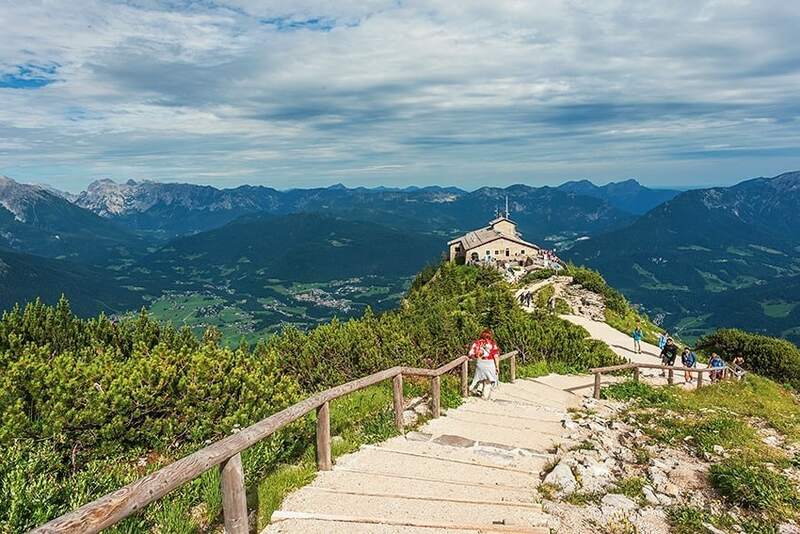 With another salt mine and many other spaces to visit, the quaint village of Berchtesgaden has been the runaway home for monks for centuries now. Spend the morning at Berchtesgaden and learn more about the history of the Old Town. After a delicious lunch, head off to refresh your mind in some truly stunning natural scenery. The Almbachklamm offers thunderous waterfalls and cliff-hugging high walkways. 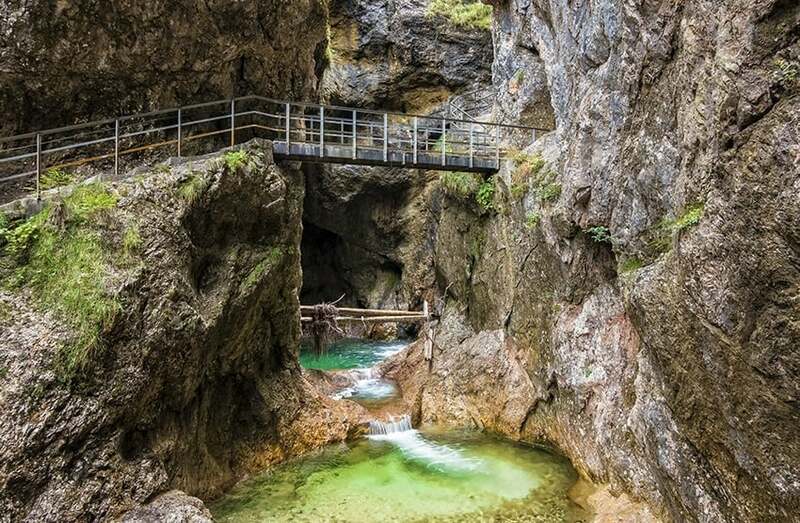 It is one of the most beautiful gorges in the Bavarian Alps. The Kugelmühle, Germany's oldest marble mill, at its entrance is truly a sight to admire as well. By Bus: Taking the #840 bus to Berchtesgaden Station will take around 45 minutes. After strolling around town, I highly recommend grabbing a taxi to make your way to Almbachklamm. By Car: From Salzburg drive to the town of Berchtesgaden. The drive will take you around 30 min. A day trip to Vienna from Salzburg will most definitely be a pretty massive and tiring day. But if you can't afford to spend a few days in Vienna itself, then it will most definitely be a rewarding one. There are loads of things to keep you busy in Vienna. The challenge is to figure out what you would like to see in the day trip, as you won't be able to tick all the attractions and sights off your list in one day. 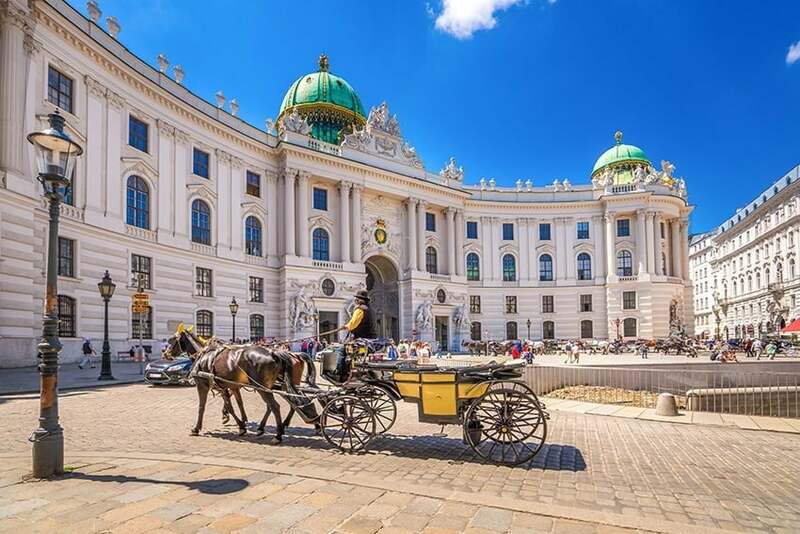 We highly recommend that you either focus your attention on visiting the Imperial palaces, including Schönbrunn, and the Habsburgs’ summer residence, or alternatively basing yourself in the Altstadt instead. By Train: This day trip will take you over 3 hours by car, so we highly recommend that you leave the car behind and hop on a fast train instead. From Salzburg, hop on the RJ 949 train that heads straight to Vienna Central Station. The train journey will take you around 2 hours and 22 minutes. There you have it, our top 12 list on the best one-day trips from Salzburg. So when you visit Salzburg and find yourself with a few extra days in hand, take a few days trips from Salzburg by trains, buses or cars. We promise that they won’t disappoint. Schafbergbahn for hosting us on their WolfgangseeSchifffahrt ferry service. To Salzkammergut for providing us with tickets for the Cable Cars. To Dachstein-Salzkammergut for organizing our Hallstatt Salt Mine Tour, as well as our boat tour on Lake Hallstatt. And to Berchtesgaden Land Tourism for organizing our tickets for a boat tour on Lake Königssee, as well as the Jennerbahn Cable Car tickets. As always opinions expressed here are our own.